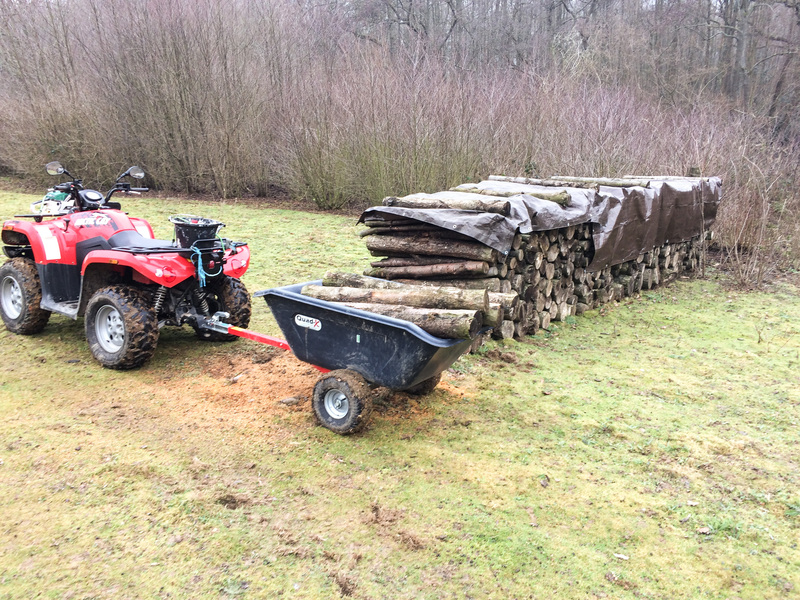 This trailers versatility is Ideal for more than you’ll ever think of! Makes jobs around your farm easier! 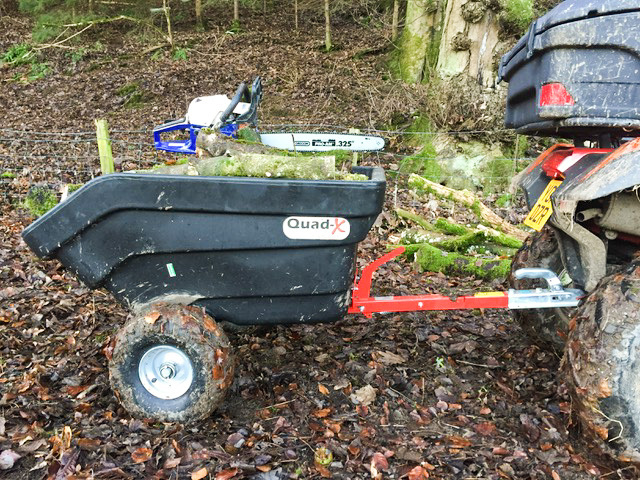 This trailer has been designed to be lightweight and versitile to make your jobs around the farm, stables and garden easier. 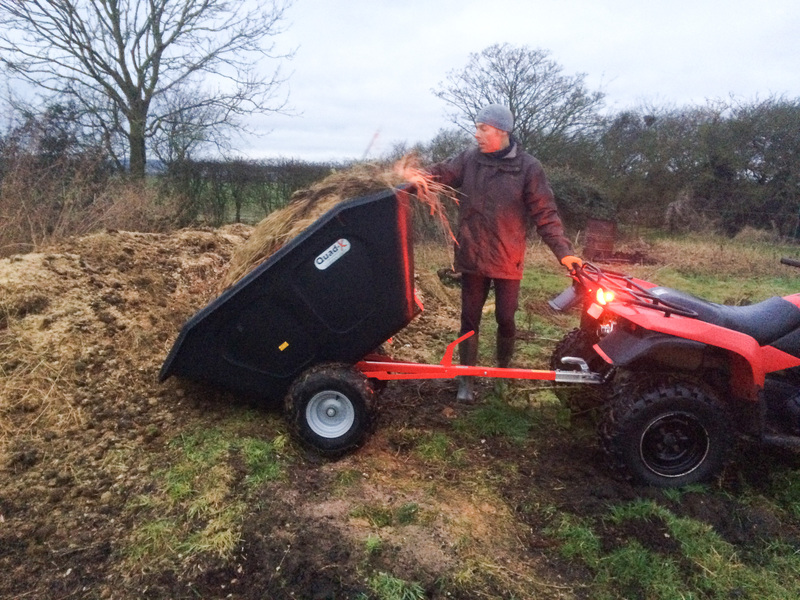 It has been designed to be easily manoeuvred making it ideal for use in tighter spaces like stables and gardens. 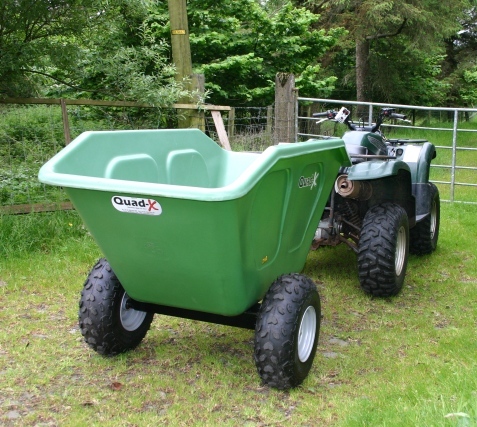 It has been designed with a powder coated frame to support the corrosion free and rot proof trailer body, giving you an advantage over conventional trailers as you can transport wet heavy loads easily and the trailer will be easily cleaned. The body of the trailer has been manufactured from high density polythylene making it strong and sturdy. 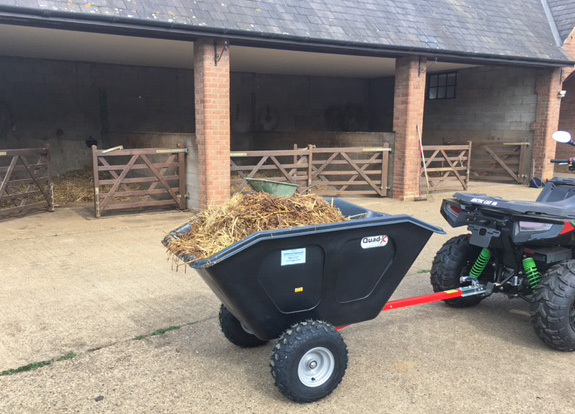 It has been designed to tackle everyday work on your farm, stable, estate and gardens making it more superior to ANY wheelbarrow. Comes standard with 50mm hitch however optional pin for attachment to a lawnmower. Optional wide wheel option; larger knobby tyres available. Available in 240L, 300L, 360L or 500L capacity. For larger applications why not try our Tractor Trailers manufactured by Blaney Agri Ltd our Tractor machinery division, available 3.5ton – 22ton. They are high speed, multifunctional, commercial spec trailers. Versatile on site or around your farm!